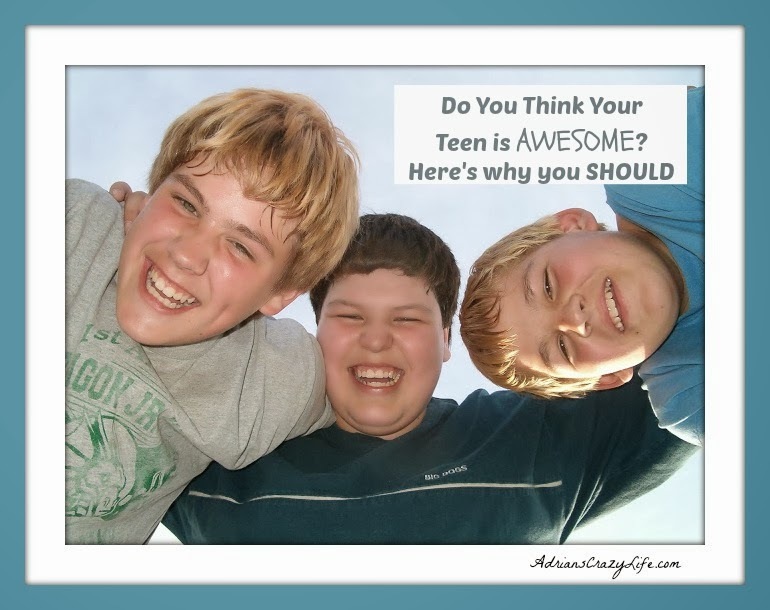 Home » Parenting Tips » Do You Think Your Teen is Awesome? You Should! 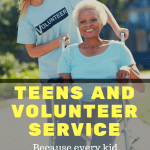 Do you think your teen is awesome? It may be more important than you think. Think back to when your teenager was a tiny baby and you used to get so excited about the simplest things – their first step, their first word, or how cute they looked sleeping with their little butts in the air? Be honest – how long as it been since you’ve felt that same way about your teen? Since your eyes have lit up when they walk into a room. Teens can be challenging, to be sure, but parents have to keep in mind they are still the same people, as those cute little toddlers we used to adore. As their parent, your opinion matters. Surprisingly, it probably matters more to them in the long run than anyone else’s in the world. I know many adults who would give anything in the world for a single word of recognition or approval from their parents. Sadly, for whatever reason, they probably will never receive it. Is that what you want for your child? On the other hand, what if you had a boss who thought you were just terrific, praised you for your work every day, and recognized all your best qualities? That’s the kind of boss you really want to work your heart out for, because that level of appreciation just makes you want to please them just that much more. I know, because I’ve had both types of bosses and I know which one inspires me to do better work. Your vision for your teen plays a big role in shaping their life. If you think they are dishonest, or lazy, or aren’t very smart – those things may just end up being true in their adult lives. They take their cues from you and it can be a self-fulfilling prophesy. On the other hand, if you think they are smart, talented, and have a bright future ahead of them, that’s going to play a big part in pointing them onto that path. Imagine the best for them and shape your actions towards helping them achieve that future. You might just end up with a really awesome kid – or maybe you actually had one all along! Don’t be so concerned with raising a good kid that you forget you already have one. Does that mean you just ignore all their faults? No, of course not. But it’s like the old 80/20 rule. Spend 80% of the time appreciating them and only 20% focusing on the negative stuff and see how much more of the awesome stuff you will see. 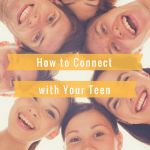 14 Comments on Do You Think Your Teen is Awesome? You Should! I hear ya! My youngest just turned 18 and is showing signs of turning back into a human being – ha! It’s funny, you can’t even get on the blog scene without hundreds of posts about toilet training and toddler stuff, but that’s the EASY stuff. Posts about raising teens seem to be oddly scarce for some reason. That always baffles me. Feel free to poke through my archives. 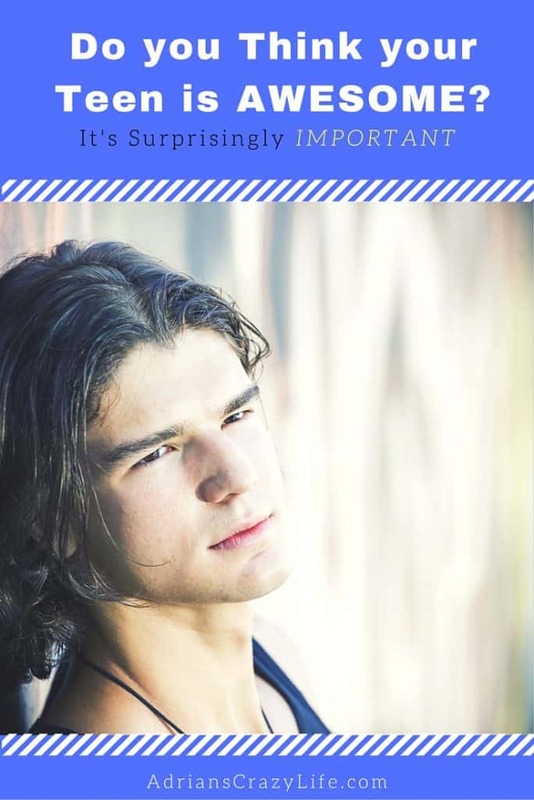 I do have a ton of great posts about various aspects of teen wrangling! I’m so glad you enjoyed it. I just posted some pictures of my Scouts having their Halloween party on our Facebook page, and it’s so fun to see them all just having a great time together! Wonderful post! Yes, I think my teens are awesome! I have 2 teens and a tween, and though they drive me crazy with their messiness, and their lack of a desire to complete their homework assignments on time, they are the BIGGEST blessings in my life. That’s good! I’m so glad to share this post with like-minded parents. These people do drive us nuts somehow, but I think we really underestimate our importance to them. Give them big hugs! As the mom of a soon to be 16 year old I really needed this reminder today!! Thanks! Thank you so much for your kind comment. That is exactly what I am trying to accomplish by these posts. Parenting a teen is dang hard work – and being a teen is no picnic either! So I think if both sides can work together a bit, the experience can be better for both of you. Good luck with your son! I totally agree that kids thrive off of praise. I’ve never outgrown it myself. I hope I can remember this when my baby gets into his teen years. I’m going to try my best!! Great post!! This is a really good reminder and something that has been on my mind a lot lately! Thank you for bringing it up! I’m so grateful for the close and honest relationship I had with my Mom in my teens! Now my parents have 4 teenagers at the moment and 2 pre-teens–I think they’re doing a pretty good job of staying involved in all of my younger siblings’ lives!